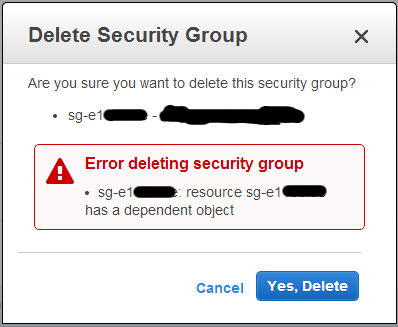 You created an AWS instance and decided to make a small root volume. Maybe you were shortsighted or just being cheap. Now the root volume is nearly full and you can’t expand it because you didn’t use LVM. To add insult to injury, AWS recently cut the price of EBS storage in half. This issue can be fixed with a handful of commands from the CLI. Before you begin, take note of a few important details about the instance. You need to know the instance-id and the availability-zone that your instance is running in. You can get the instance-id from the running instance by querying the instance metadata service. More details about the metadata service are available here. Determine which availability-zone your instance is running in. Shut down the instance. You can’t get a reliable snapshot of a volume while it’s attached to a running instance. Now that you have a snapshot (snap-e76a3b25) of the root volume, you can create an exact larger copy of it. If the snapshot state is still pending, you will get an error. Do not forget to specify the size or the new volume will be the same size as the old. Finally detach the original volume (vol-b6b98bfb) and attach the newly created volume (vol-b4aa98f9). Start your instance and verify that your root volume is now 40 GB. The root volume is still 8 GB. This is because the volume was created based on a snapshot. Run resize2fs to resize the volume to 40 GB. The filesystem on /dev/xvda1 is now 10485760 blocks long. For details on how to grow an EBS based LVM filesystem, see this article that I wrote.